LISBON – Portugal is looking to improve national business competitiveness and draw in international investors by cutting corporate taxes. In a statement made on October 14th the Secretary of State for Fiscal Affairs of Portugal Paulo Nuncio said that the Cabinet of Portugal has approved a 2 percent cut to the rate of corporate income tax, from the current 25 percent to 23 percent, to be implmented by the end of next year. The reduced tax rate is expected to directly diminish the government’s revenue by approximately EUR 70 billion, but Paulo Nuncio said that the loss will be indirectly balanced out by new the revenues arising from increased business activity in the country. 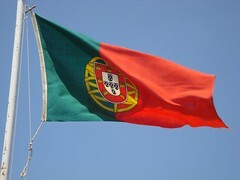 Paulo Nuncio noted that with the lowered rate Portugal will be better able to compete for international investment other European countries. The rate reduction is also expected to have a particularly positive impact on small and medium sized enterprises, which Paulo Nuncio described as job creators, innovators, and the main drivers behind the national’s export market. Next year’s tax cut is not planned to be a once-off, and Paulo Nuncio stated that the government hopes to reduce the corporate taxes to a rate of between 17 and 19 percent by the end of 2016. The International Monetary Fund, one of the main lenders of Portugal’s currently bailout loan, has already indicated that it does not object to the tax cuts, as long as the overall level of revenues of the government does not fall as a result of the move. The tax cut still needs to be approved by Parliament, and is scheduled to be presented in the next couple of days.